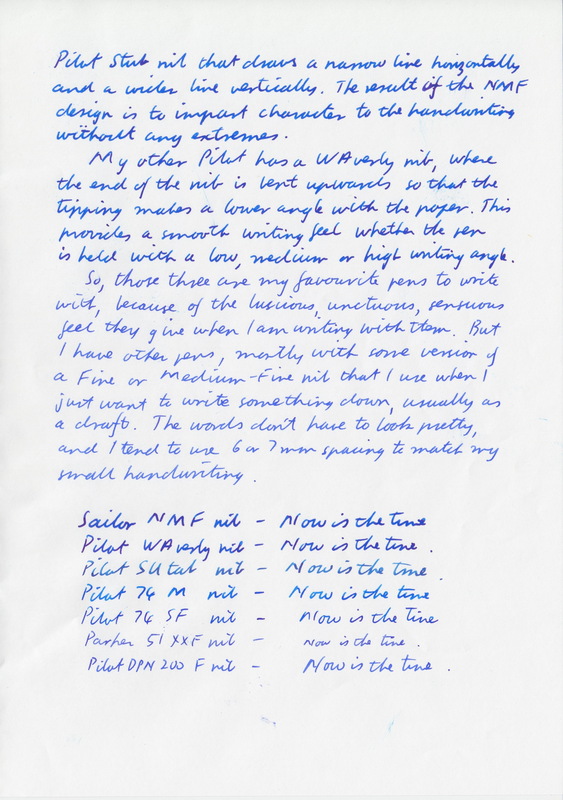 Inky T O D - Ink Pen Paper And Handwriting Musings #1 Which Nibs Attract You And Why? 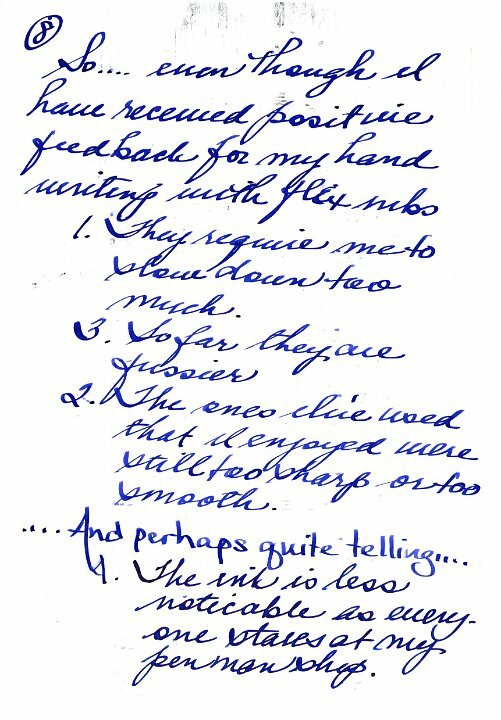 I was contemplating on some of the things you expressed about your handwriting. I like to know what your opinions are concerning this matter as we leave our marks behind with the pen we use. 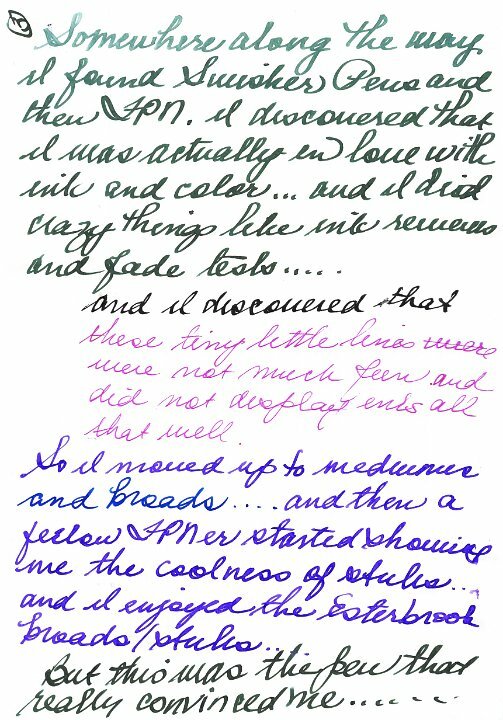 Personally, before I go six feet under, I like to impress my daughter and everyone that is left behind with the knowledge that I have acquired and mastered three handwriting script, of which I deemed most useful: Fraktur for the times when I want to be a little mysterious, Spencerian for all the times I like to show off, and for the everyday hand italics. These three scripts, I am currently nurturing and to perfect. The closer I get to it, the more I like it. 1. 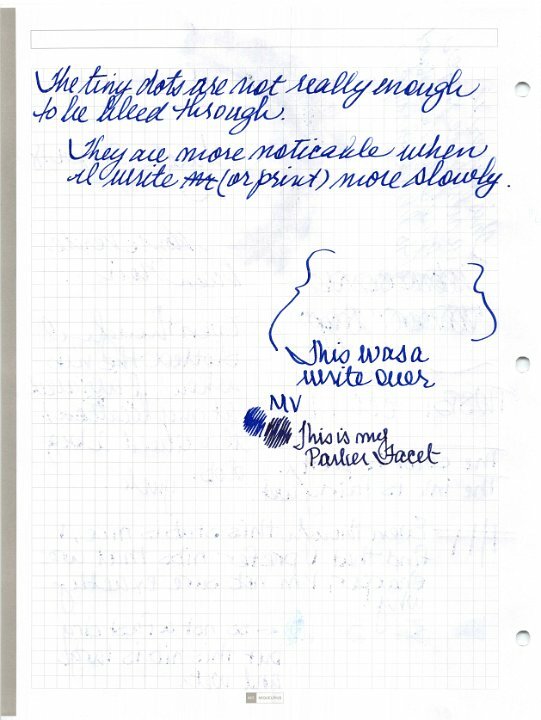 What is it about the broad edged pen that attracted you? 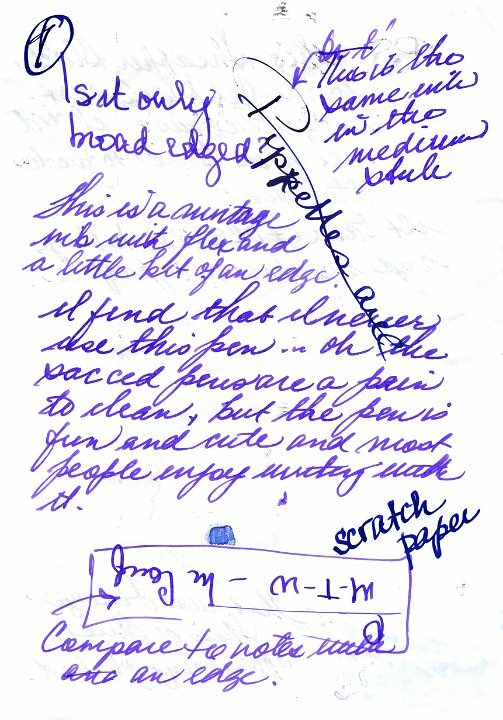 and is it only broad edged pen? I'm going to respond to him one question at at time. 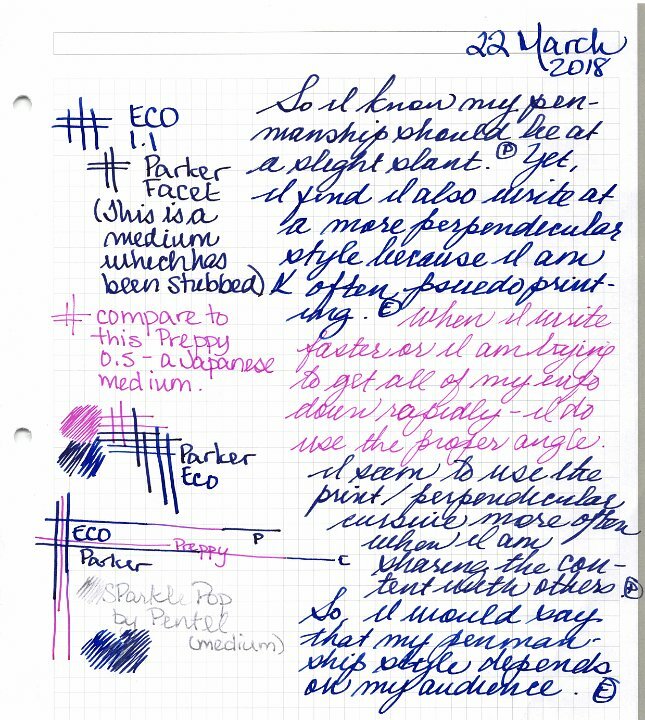 Now before Lapis asks why this topic is here (and not in another forum) - the answer is because for me the answer has something to do with ink. If it doesn't for you, that's okay. 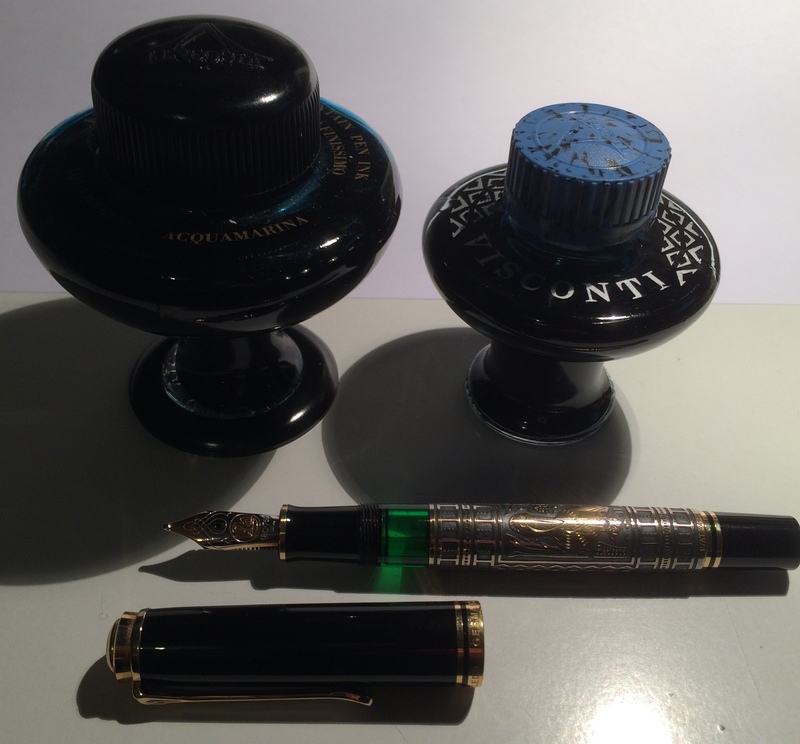 What nibs (and or pens) attract you and why? 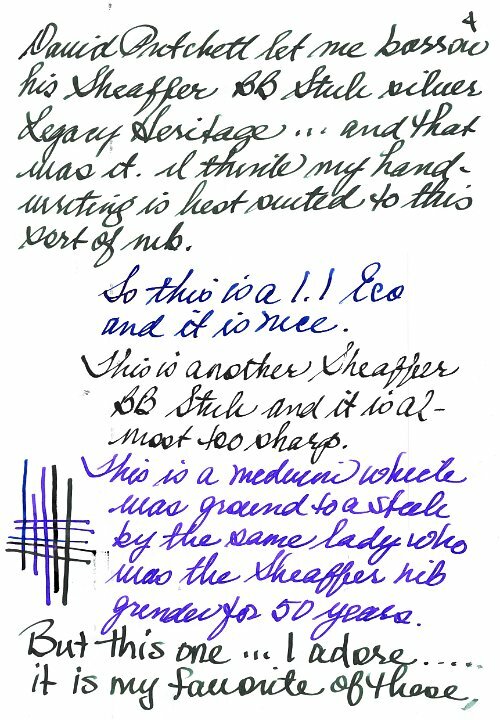 Does it matter which pen body / paper / ink you use with that nib? 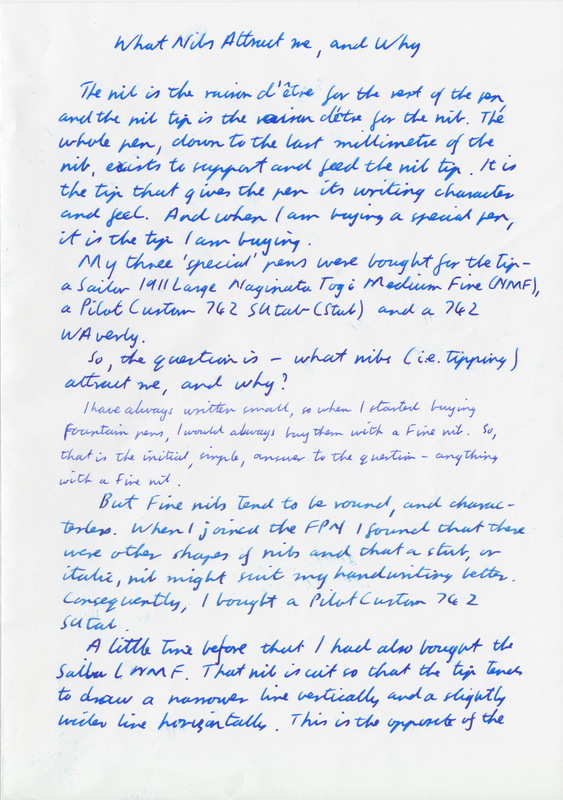 For the best handwritten reply (or perhaps more than one great reply), I will send out a gift. (Nothing huge, but you can be surprised.) Enter as many times as you want. 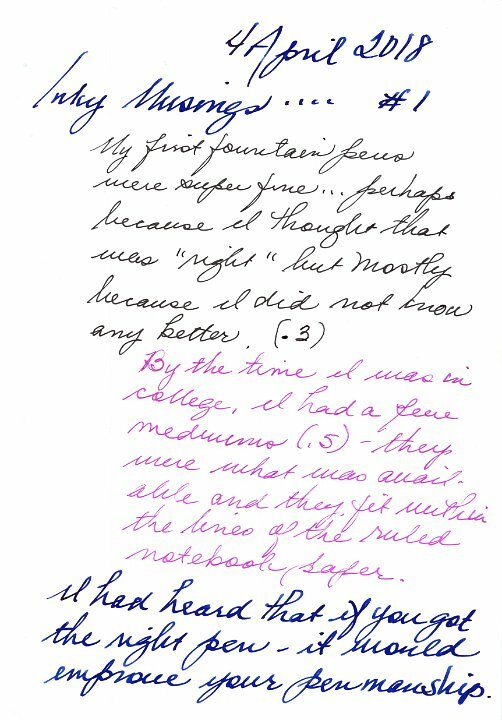 Only the handwritten posts will be considered for special gifts, but all posts are appreciated. 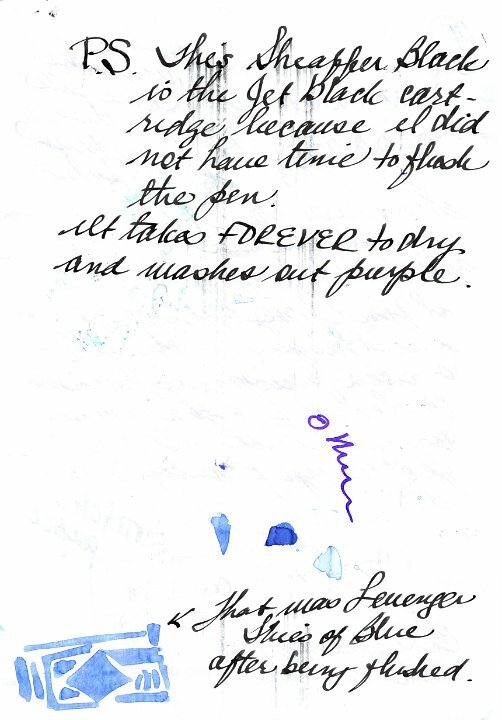 Fountain pens are my preferred COLOR DELIVERY SYSTEM (in part because crayons melt in Las Vegas). Why do I like those nibs? 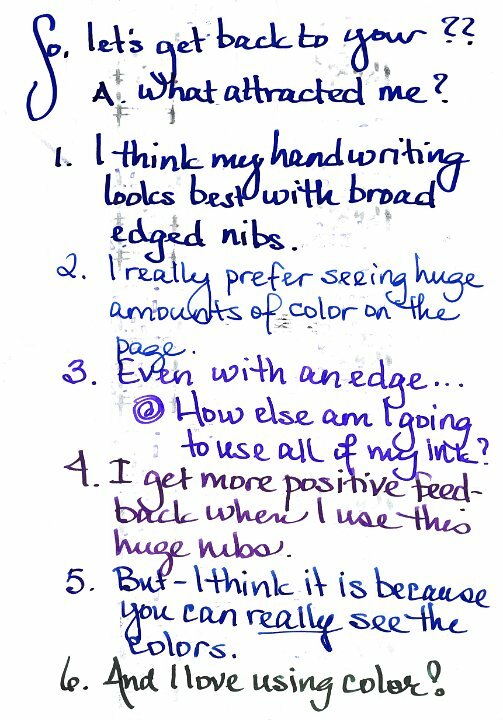 What do I like about my handwriting? 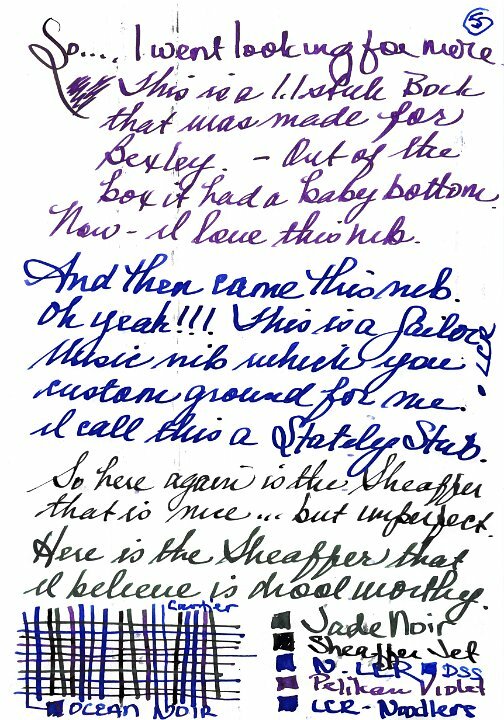 Whose handwriting do I like? Which Script Will I learn? 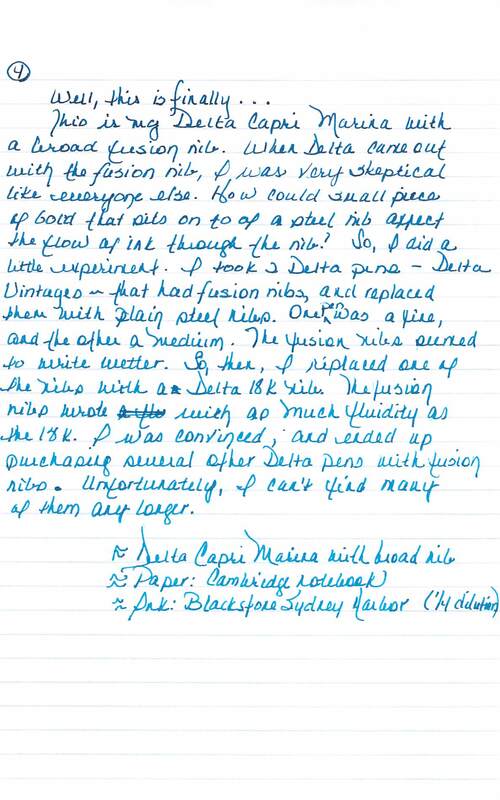 Well, I can tell you that even after waiting 15-45 minutes (depending on the page) Sheaffer Jet Black does not dry. 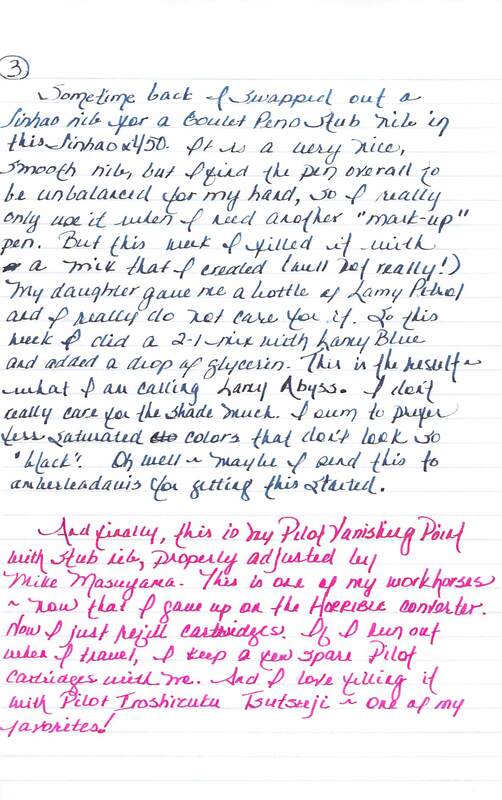 Wow, the smudging from Sheaffer Jet Black is horrid. Anyway, I do eventually wrap it up. Well, my favorite pen and nib are on my M900. Now not because that's my most expensive pen but because it's the heaviest and most beautiful. 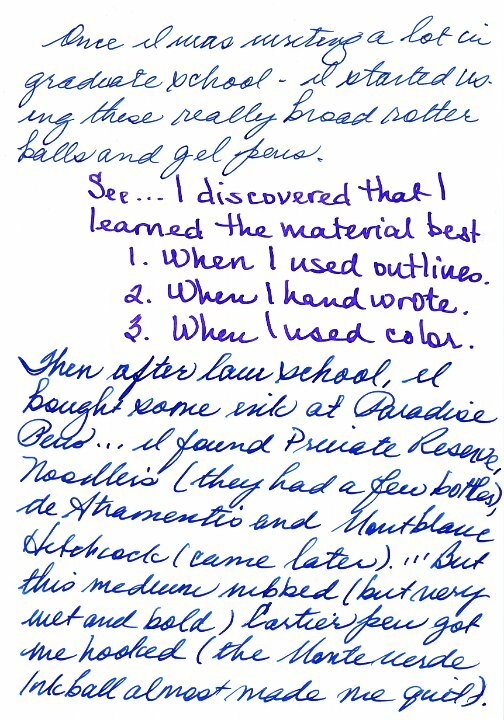 Paper is not completely irrelevant but still not all that interesting (to me, where my cravings and/or belongings are definitely in the range INKS >> pens >> papers). The nib on it is a BB. A 3B or e.g. 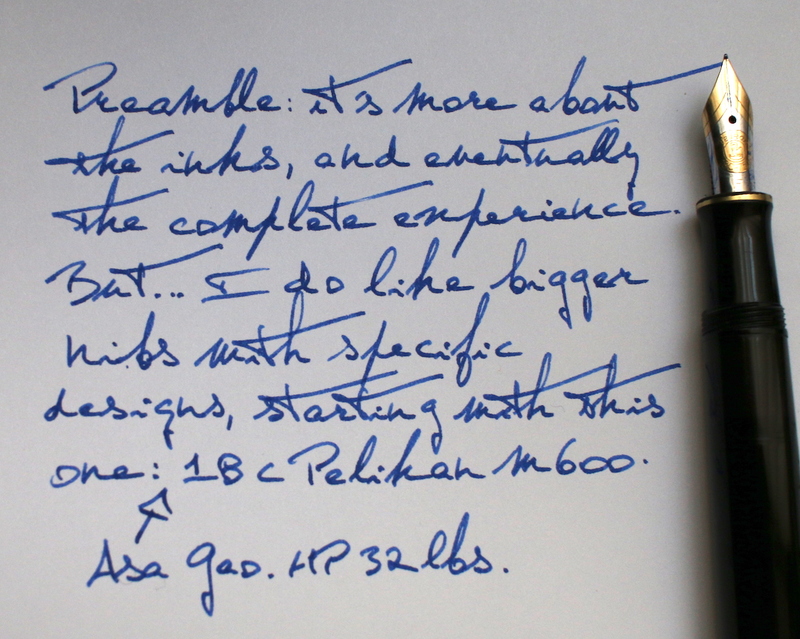 a 1.5-mm on a Safari (like my Joy) is also more than okay but still somewhat toooo wide for log-winded everyday writing. I'll try and get around to making a few shots of same. Any special ink you'd like me to misuse here??? Okay, okay, here we go.... read all about it. Don't know how wild this is going to come off but here are a few images I just made. All in a hurry and all with my iPhone 5s so hang tight. 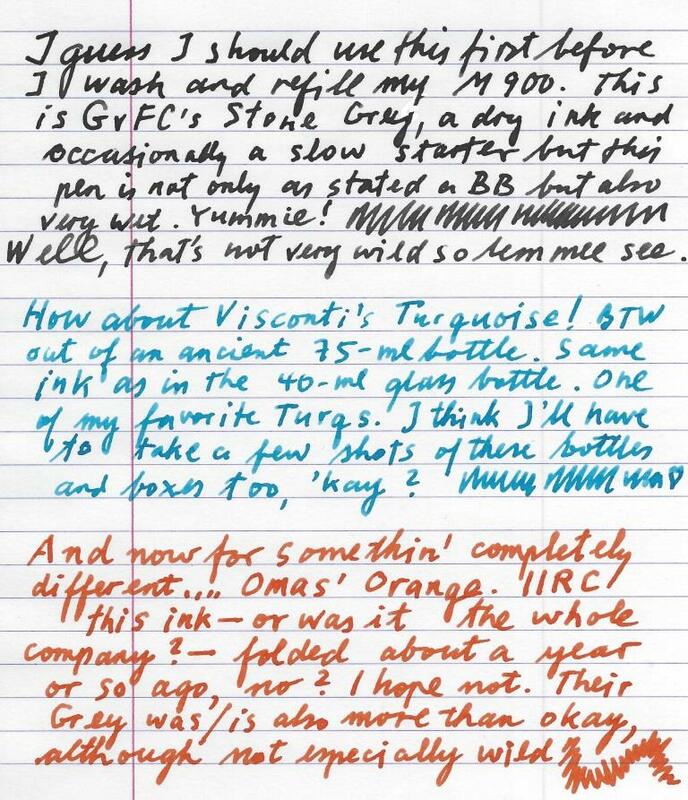 Also, I'm leaving it to the Visconti ink, because, I mean, everybody already knows all about the GvFC and Omas bottles and boxes, 'eh? 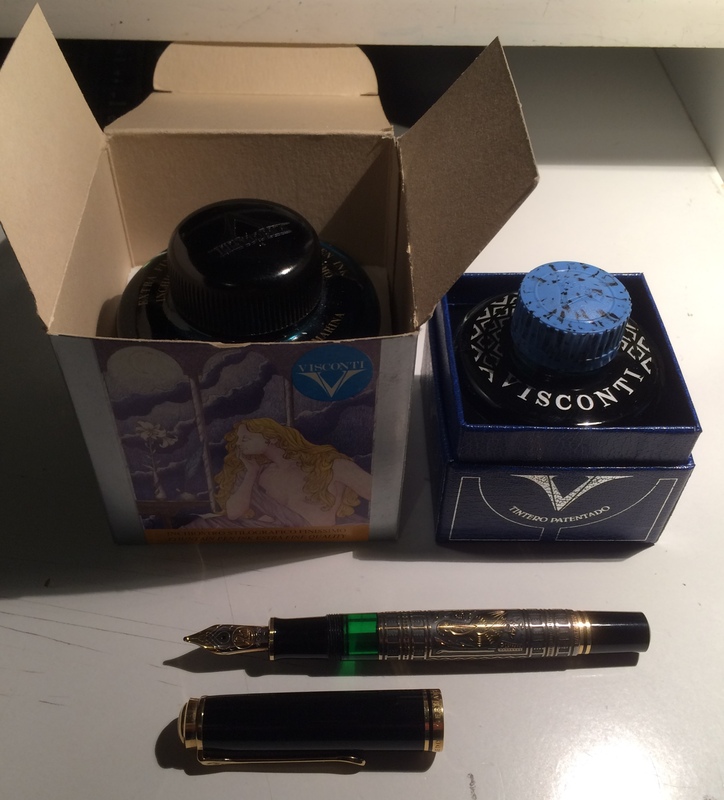 The Visconti 40-ml bottle and box are shown here only to serve as a size comparison for the old 75-ml bottle. AFAIK, these haven't been issued anymore for the last 15-20 years. Location:Nevada and the Far West beyond! Edited by DrPenfection, 06 April 2018 - 00:01. I have been pondering this topic myself of late. Some pens will take almost any ink, some inks will work in almost any pen, but I still have some pens that seem to be very fussy. 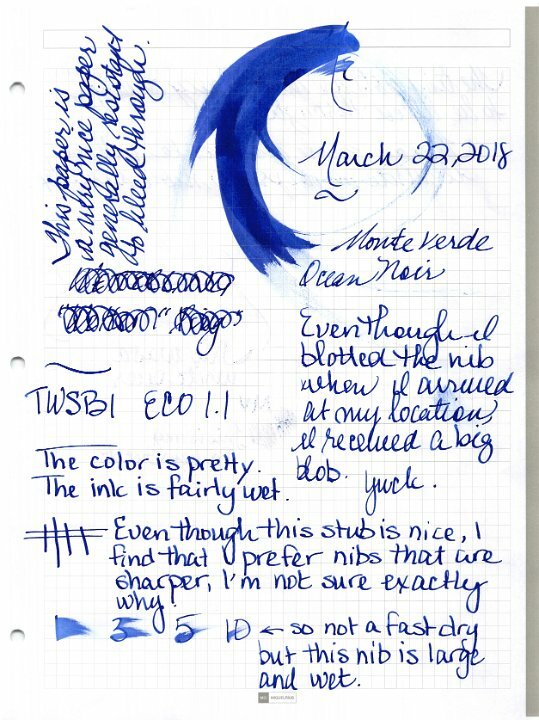 At the moment my rule is to try different inks till harmony is achieved. “Them as can do has to do for them as can’t. Very well put! All the more reason to document (however sparingly) these thing e.g. 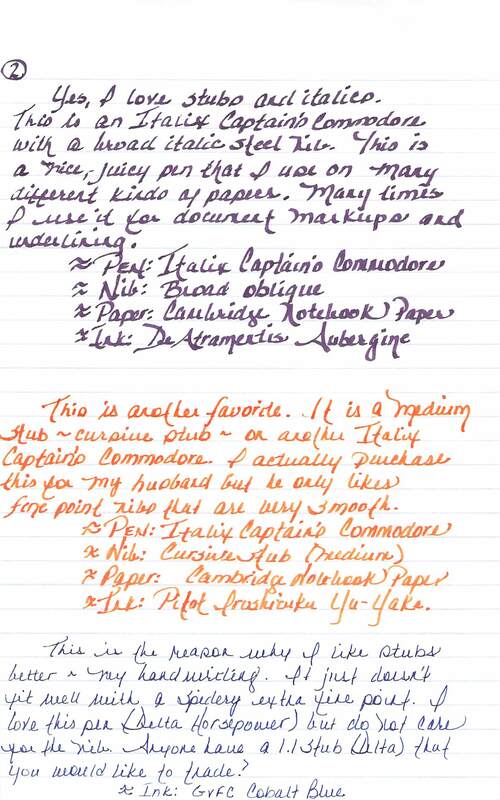 in the form of a single line for each pair in the form of my "INK INVENTORY". So, at the LA Pen show, I did a workshop and let people test different nibs here was the result. 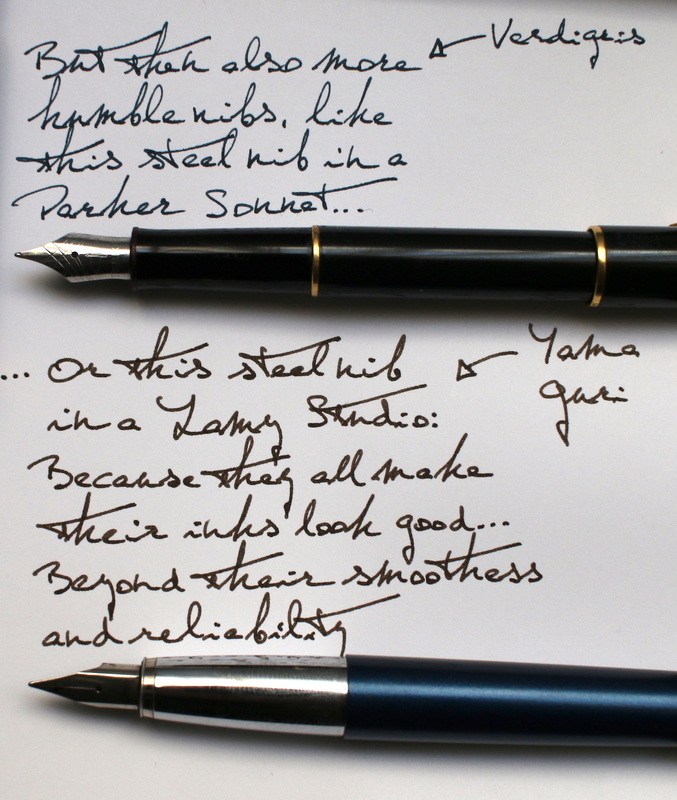 I do like exposed, bigger nibs, but I'm just happy when they make an ink shine. I think I haven't capped my m600 perfectly, hence the darker shade... Time for a refresh! 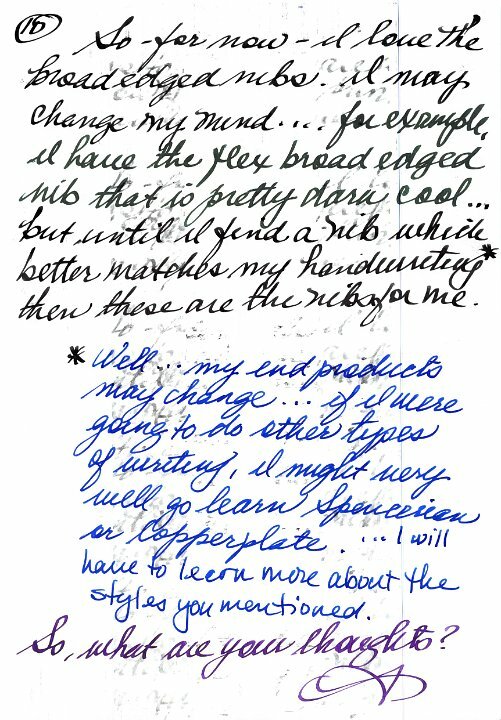 Your challenge is -- match the nibs in the samples at the end to the paragraphs they were used on. 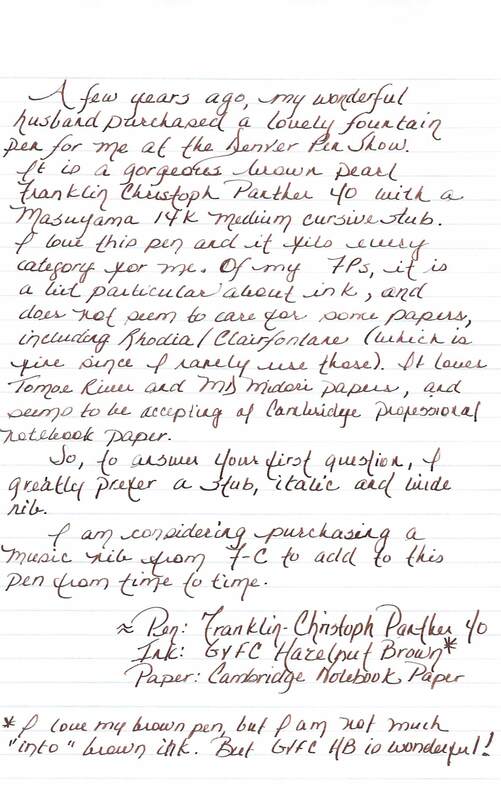 Hint, not all the sample nibs were used in writing my response. Edited by dcwaites, 09 April 2018 - 08:40. Yes, I did. I have noticed that this happens with quite a few inks. They start out dark and intense then lighten up as I write. 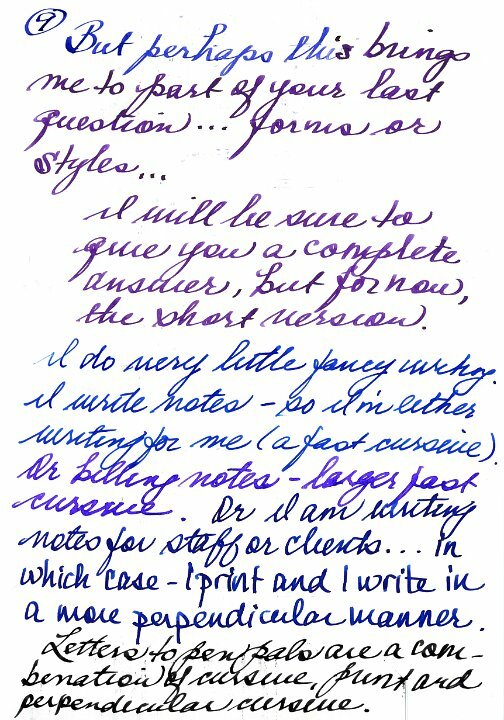 I store my pens in a horizontal fashion, so perhaps the ink pools in the feed and when I first start writing the ink moves more quickly out of the pen, then slows to its normal rate after a line or two.